Stock # JG397656, 6.4L 8-Cyl Engine, Automatic, 5 mi. 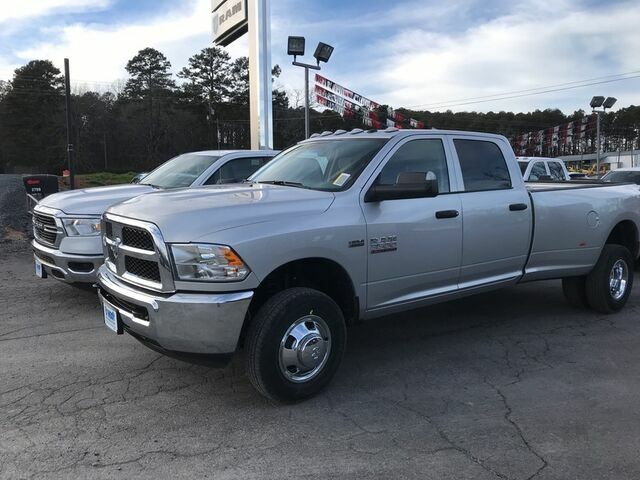 You can find this 2018 Ram 3500 Tradesman and many others like it at Cowboy Chrysler Dodge Jeep Ram. Today's luxury vehicle is not just about opulence. It's about a perfect balance of performance, comfort and attention to detail. This 2018 Ram 3500 is the perfect example of the modern luxury. When Ram created this vehicle with 4 wheel drive, they immediately enhanced the performance ability. Easily switch between two and four wheel drive to take advantage of the improved steering and superior acceleration. You could keep looking, but why? You've found the perfect vehicle right here. This is the one. Just what you've been looking for.